This whole site is inspiring - 1000 Hours Outside. Still on the outdoors theme - which is so important. The Perks of Play-in-the-Mud Educational Philosophy. When did America decide preschool should be in a classroom? at The Atlantic. I found this super interesting What Charlotte Mason homeschoolers ought to learn from Waldorf at Juniper Pines, Guilt-free Charlotte Mason homeschooling. We Love the Montessori Newborn Baby Space in Our Living Room at Christina Chitwood. Would this work in your home? The Secret to Magic Mornings? Put the Kids to Work at the New York Times (written about an Australian family). I always love Sarah's (Waldorf teacher and owner Bella Luna Toys) advice! Gardening with Children at Moon Child. Our Montessori School Change at The Red Tent. Please read this if you are considering Montessori or alternative schooling for your children. I hope you had a good weekend. I'll be back tomorrow with some more Montessori goodness. Have you been to Ikea recently? I know it's a favourite with a lot of Montessori families. I haven't been to Ikea for months, perhaps even a year. We're not close to a store here but there is always Ikea online. I needed to order some new picture frames so I took a look around and fell in love with the new Pleja basket. They are so handy and work well as a larger type of caddy (you can also slightly move around the black dividers). In most Montessori homes families will want to organise their children's materials on shelves but a caddy makes things portable. We don't have a dedicated art area, Otis was using a few old cube shelves and a coffee table but now Otto is crawling he is grabbing everything and the coffee table (and cube shelves) are no longer an option. So our basket works well for Otis to take his art supplies and work at the dining table. We have such a small space we can store the rest of our art materials in a cupboard and Otis has out what he needs. The basket could be used as a children's cleaning caddy (dustpan, cleaning cloths, window washing tools, little spray bottle), gardening caddy (gloves, tools, seeds, small watering can, garden labels) for storing kitchen supplies and even for the bathroom or for next to the potty. My first thought and one of the ways we use the basket is for our nappy change station. We often use it upstairs and downstairs so I love that we can move it around easily. It's more organised than our previous nappy basket and weirdly I love feeling more organised. I also love using a basket or caddy to take materials outside. This works perfectly as a little Nature Discover basket for Otis! "Maria Montessori taught us that the child's cry means "Help me to do it myself!" and a low bed can help him do important things by himself very soon. Such a simple means to such important ends. Once again we have to recognize our profound lack of comprehension for the capacities of the infant. From this stems our lack of faith in them, which impedes their development. We justify our erroneous behavior as being necessary to care for and protect them." - Silvana Quattrocchi Montanaro M.D in Understanding the Human Being. The Importance of the First Three Years of Life. I love the freedom of movement that the floor bed provides. Each of my three children have transitioned to a floor bed in different ways. Otto (pictured above) was in a low bed frame but now he's crawling and climbing in unexpected ways, we've put him on a mattress direct on the floor. Be careful about using sleeping sacks and a floor bed, the sleeping sacks will restrict movement. Consider using a baby monitor to check on the infant. Consider using a baby gate on stairs or at the infant's bedroom door to ensure their safety. We only have child-sized furniture in the infant's room, if you have larger pieces consider securing them to the wall or removing them completely. Carefully consider all of the materials in the infant's room. Now that Otto is crawling I have removed some items from his room including all accessible plants. In the UK it's not recommended to cover electrical outlets however this varies in other countries. In Australia, I would have covered the outlets. We currently cosleep at night but Otto uses his floor bed for day-time naps. If you are starting out using a floor bed (from a crib or cosleeping) I recommend to start with day-time naps, you can then check on the child and see how they move and keep an eye on them if they wake, to see what they get up to! We've used both single and crib sized mattresses. I don't have a preference. My children generally don't move around a lot in their sleep. The crib size bed/mattress fits the nook in Otto's room and it is working fine. Otis and Caspar used standard single bed mattresses. Otto is my first tummy sleeper, he will often roll onto his tummy to sleep. I am constantly putting him on his back but it's important for this reason to ensure you use a firm mattress, be aware that futons are not always suitable. Sometimes it's best to put the floor bed in the corner of the room. This is what has worked for us, as the child can and will only move out one way, however, I know some families that prefer the mattress in the middle of the room, so if the child rolls out it's onto the floor not against a wall. Children will learn where the edge of the bed is and become spatially aware. With Otis (who used a single mattress) I showed and guided him how to get off the mattress - backwards and feet first. There is no pressure to use a floor bed. Sleeping arrangements are so personal, don't feel any pressure from Montessori families or others as to where your child sleeps. If you don't use a floor bed from the start with an infant, it may be a really good idea to consider using a floor bed with a toddler. It is easier in some ways to start providing this freedom when they are young but as mentioned above ensure the room is completely safe. Use pillows and blankets with caution. Pillows generally aren't needed until the child is around two years of age. Otto is currently using a small knitted baby blanket, it's breathable and won't overheat. Consider using transition items. Unlike my other children, Otto has a lovey (soft rabbit) but he has an extra need to bite and chew things, and two favourite blankets. I am sure these have assisted the transition to the floor bed. The intent of the floor bed is to allow freedom of movement and for greater autonomy, however when Otto wakes he will often talk to himself and play with his toy rabbit, but then he will come looking for me. So he isn't at the stage where he will play with his toys or occupy himself in his room. He is currently seven months so I know, it's likely that this will change. I hope that this has given you some ideas, some things to think about and some insight into how we use and transition to a floor bed. This morning Otto found a brown paper bag and played with it for 20-25 minutes. It was the type of bag that makes a really crunchy sound. It was interesting to observe the different ways he played with it and explored it. Later in the day, he sought out the bag again, and again it held his attention and focus. It's such a good reminder about the value of non-toy toys! mini-playsilks - I really like this mini size for babies, they can pick them up and explore with them without getting tangled. Different types of printed or coloured fabrics would work well too. natural items - including dried lime, orange, large and cleaned gum nuts and seedpods. items from the kitchen - including metal items for my child who likes to make banging noises including measuring cups, mini whisk, small metal container and wood items including a wooden ring and napkin ring. shaker - made using a random plastic container and dried pasta. natural wooden blocks - we might not think of blocks for small babies, the child isn't stacking or building with them but they are nice to explore with their hands and mouth and are good to bang together. nesting baskets - the baby is too young for other nesting or stacking toys but baskets are often nice to explore with their mouths and are so soft, the child isn't going to get hurt by playing with them. The texture of these baskets is really interesting too. balls - balls are the best non-toy toys, we have a ball basket that always gets played with, the balls are all different textures and sizes including natural woven, natural rubber and crochet sensory balls. musical instruments - we have a drum and small shakers but a small tambourine or maracas could work for a child at this age too. There are lots of other non-toy toys that I would like to try with Otto, many are suggested in my readings about the RIE approach including empty containers, lids, and, wooden spoons! All of these non-toy toys are easy to find in the home and it's possible to make do with what you have! Loving - Solar System Work!! A month or so ago we installed this fantastic Solar System Mobile in Otis' room, it's huge but so interesting. I recently noticed a very similar mobile in this Montessori influenced room at calivintage. It has me thinking about all the various solar system models we've had in the boys' rooms (do you remember our crazy inflatable planets) and how much I love solar system work! There something about learning about the universe that has me feeling so very inspired. 1. Solar System Mobile - this is the mobile we currently have in Otis' room. 2. Uncle Milton Solar System in My Room Model. We had this in Caspar's room when he was little, the planets move around the sun (it's motorized) and are remote controlled, it also comes with a CD. 3. Flash of Brilliance Space Cards with Fun Facts - these have facts on the back, can be put on the wall or used for matching work (as shown below). 4. Nienhuis Planets of the Solar System - this is a school set but provides ideas and inspiration for the home, there are lots of printable versions available online at Montessori print shops, TPT and similar. 5. National Geographic Little Kids First Big Book of Space - our favourite book on space. 6. Educational Insights Motorized Solar System - we haven't tried this one but it's on our wishlist! 7. Learning Resources Giant Magnetic Solar System - you need a large magnetic surface for these! 8. Il mio cofanetto Montessori di Astronomia - I'm a huge fan of Eve's work and this looks comprehensive and beautifully illustrated. If you are in Australia many of these products can be found at Educational Experience or at Mad About Science. We are currently (in the UK) looking for a good quality but child-friendly telescope, please let me know if you have any recommendations. I hope you have a wonderful weekend! 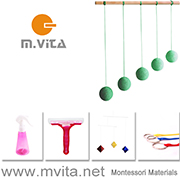 Montessori - give the child real tools! As my children have grown older the difference between them and some of their non-Montessori friends has become greater. I understand there will always be personal, cultural and family differences but one difference I have noted is that Montessori families provide their children with real tools*. Good quality, sometimes excellent quality tools and materials, and guess what, the children respect them, they look after them and they know how to use them! To understand how this works we need to go back to the start. From toddlerhood, we teach the child to respect and care for their materials. We show them how to push in a chair, how to carry water, how to put their toys away. A young Montessori child learns to pour from a ceramic pitcher and drink from a real glass. This behaviour is modeled at home and in the classroom. This care, this respect becomes a part of the child. It becomes who they are. As the child ages, we continue to provide them with the knowledge, skills and experience to allow them to use their tools. They move from using a crinkle cutter to a sharp knife. They move from hammering to using a saw. Slowly, step by step their skills and abilities increase, our trust in them increases, their trust in themselves increases! Particularly in the very young child, we must consider their skill level, can they safely manipulate the tools? Do they have the knowledge to use the tools? Children will mix all the colours in the paint palette unless they have been shown how to mix the colours separate. Teach with patience and care. Handle the materials as you would expect the child to. We also want to consider the size of the tools and materials. Often as Montessori parents, we look for smaller but real versions of the adult's tools. A real but small shovel, a real but small hoe. Small materials are easier for the child to manipulate but are very different to toy, plastic or pretend versions. A Montessori parent doesn't give their child a plastic hammer, we give them a small but real hammer, we slowly over time show the child how to use it, we give them time to practice and use it along side us. Then the day comes when they are ready to use it by themselves. This may happen at three years or six but the child comes to this point themselves, through real experiences. Most often real tools are higher quality, they work better, are more efficient and may be easier to use. They show the child we respect them and they allow the child to have real experiences, not a lesser experience. We also need to do our research for example, there are some children's art materials that are just as beautiful as adult materials or there may be beginner tools the child can use such as beginner telescopes or pocket knives that serve as an introduction to the real thing. It's not just Montessori parents that think this way. Many parents are taking a hands-on, natural learning approach. For me as a parent, it just makes sense, it's logical, there is no other way. *Think woodworking tools, gardening tools, kitchen tools including crockery and utensils, art and handwork materials, science, discovery and technology such as cameras, microscopes, musical instruments and, equipment. Hapa Zome - with children! Hapa Zome = leaf dye. Have you tried it? 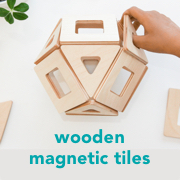 It's an excellent hands-on activity to do with young children! Ours turned out so beautiful I just had to share! All you need is some flowers or leaves, fabric, we used calico and a hammer. We work outside whenever possible and this is a great activity to do outside, in-between those April showers. We put a waterproof tarpaulin on the grass and work on some nice large wood pieces. We arrange our flowers in between two pieces of fabric or fold the fabric over, however, you can place the flowers on a surface like the wood piece and put the fabric over the top. Then we just tap, tap, tap with the hammer. Not too hard and not too soft. This would be completely ok to do with a toddler with some supervision. It's really easy and really satisfying! Once you feel you have tapped or hammered each flower and leaf you can open the fabric and reveal your art work! The dye has actually transferred on to the fabric. We peel off the flowers and leaves but they can also be taken off once the fabric has dried. So easy and so beautiful! Although we did ours on a large scale outside, I can see it would be possible to present this on a tray in a classroom or on art shelves. The results are instant which is more interesting to a young child than something like using a leaf or flower press. You don't have to hammer very hard so it also teaches the child hand and arm control. It could be used as an extension to learning about leaves and flowers. We found this a lovely way to spend our afternoon together, collecting flowers and leaves and then creating! The Importance of Using Clay! is natural, helps to create a connection to our natural resources. has a really good weight, a large packet is heavy, a small ball can be felt in the child's hand. has an interesting and unique texture. requires some strength and effort to manipulate. can be reused if stored correctly. is an open-ended medium with no limit on options and possibilities. helps to develop gross and fine motor skills, requires the use of muscles in the arm right through to the small pinches and movements of the fingers. It helps to develop a connection between the hand and the mind, as the hand works the mind works. can help improve coordination and dexterity. can assist in developing concentration and focus. can assist in developing planning and decision-making skills, forward thinking and problem-solving. provides an interesting tactile experience, it feels different when wet or dry, different from playdough or plasticine. can assist with self-expression and can be an outlet for creativity. can help build and develop mathematical and engineering problem-solving skills, for example when making 3D sculptures and geometric shapes, can used to build buildings, bridges and other complex structures. allows for an authentic art experience, it has been used as an art medium for thousands of years. Clay can be an issue for children who do not like the sensory experience of the often cold and wet medium, some children don't like it when it's too wet or don't like the way it feels, it should be noted that some children may need to be introduced to clay slowly and others might not like it altogether. Provide no tools, children must work with their hands only. Provide a theme such as "under the water/ocean", "ancient Egypt", or "insects", make it age appropriate. Challange the child to make a building or a bridge. Challenge the child to make a vessel such as a bowl - or teach a technique such as how to make a pinch pot or coil bowl. Make hand or footprints in the clay. Allow the children to use as much clay as they like, or give them just enough to fit in their hand, ask them to mold it in their hands and squish it while you talk to them, like therapy. We like to use our clay outside on a tarpaulin or on our outdoor table as we currently don't have a dedicated art area, and really like working outdoors, but clay can work really well if you put a small amount in an airtight container (we use glasslock) and put on a tray on the child's art shelves, perhaps with a small board or placemat to protect the work surface. We also find it useful to have a small bowl of water nearby to help keep the clay moist or to help protect against cracks or to help join clay pieces. Use in story-telling or poem readings, child or adult led. Measure creations length, height or weight. Provide regular time for working with clay so the child knows the can come back and add to their creations and it's not just a one time only experience, or leave on the child's art shelves for them to use as frequently as they like. Use to further develop individual research projects such as to build models. Reggio Inspired: Clay Play at Fairy Dust Teaching. Using Clay to Scaffold and Understand Children's Expressions at Early Arts UK. It's fantastic to see furniture manufacturers taking notice - Sprout and Montessori at Sprout Kids. There are lots of good simple ideas here, Home Tour 2018 - Our new Montessori inspired apartment at La Tela di Carlotta. I love these book suggestions, many of these are new to me and have made it onto my wishlist - 10 Great Books about Spring and Gardening at Villa di Maria Montessori School. THIS illustration on free motor skills at Bourgribouillons, found via Minuscule Infini. If you are looking for an alternative to the Pikler Triangle have you considered a climbing arch? Our arch arrived this week and it's the perfect size for babies learning to pull to standing and climb (c/o Wiwiurka). Otto is now crawling but hasn't reached for it yet. I'll take some pictures and share when he starts using it. (I love the rainbow version). This week we pulled out some board games and took them outside to play in the sunshine, it was the best feeling. If you are looking for ideas, we are currently loving Into the Forest! I hope you have a lovely weekend!